As we walk in Christ, we strive to reach a point of completely surrendering to Him. The author of Hebrews writes, "But solid food is for the mature, who because of practice have their senses trained to discern good and evil." (Hebrews 5:13-14, NASB). The Apostle Paul uses terms like babes, infants, children, and mature to denote the various levels within our Christian walk. Spiritual growth is not something that we obtain on our own. It is the work of the Holy Spirit who guides and teaches us to be more like Him. Parents provide guidance to their children in hopes that once they mature they will be equipped to stand firmly on what they have learned. God also expects us to learn from Him and mature in our relationship with Him. In the Old Testament, it was common to cast lots in order to make a decision. Similar to gambling. God does not want us to be led by "chance"; He wants us to be led by Him and His wisdom. One example of depending upon Him is found in the Book of Acts 1:21-26 as the apostle to replace Judas is being chosen. Peter speaks up and announces that they must chose another to replace Judas. In my opinion, this was the first mistake. A true apostle is one who is called by Jesus Himself, face-to-face. In this aspect, the apostles did not truly have the authority to chose an apostle. It is obvious that they are not trying to maliciously harm the work of Christ; rather, they are simply being impatient and not waiting on the Lord. This is something that we do today. Many times we find that we get ahead of God and instead of waiting on His instructions. Afterwards, the apostles prayed to God and cast lots. The lot fell on Matthias and he was numbered with the apostles (v.26). As we plan, we need God to direct us. In this case, they did ask God for guidance; I am not sure they waited on Him to provide the answer. As I mentioned in my previous posts, this is not heaven or hell issue. 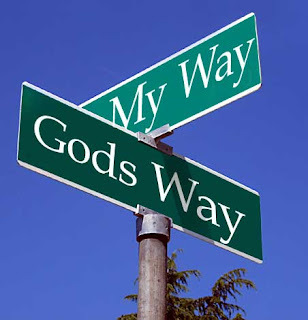 When we get ahead of God and try things on our own we usually find out that God's way would have been much better. We do not lose our salvation because of it. Mistakes that we make along our journey brings us to the realization that God is always right and we are to wait on Him (its part of maturing in faith). As for choosing Mathias, it wasn't a bad decision it may not have been the one God was looking for as an apostle (my opinion). I believe Mathias probably did some great work in his ministry for Christ. However, beginning in Acts 9 we see that Jesus did call and apostle face-to-face. On the way to Damascus, Saul (later called Paul) was called as an apostle by Jesus Himself. What an amazing calling and obviously a choice only God could have made. Through Christ's direction, the Apostle Paul proved to be a prominent part of establishing the church, especially to the Gentiles. God also used Paul in the writing of over a third of the New Testament. As we pray, we do not need to cast lots, gamble or do things by chance; rather, we should wait on the Lord to direct us in the way that He wants us to go. As we read further into the New Testament, we find that the apostles no longer cast lots to seek their answers, they relied on the Holy Spirit to reveal it to them personally. As we mature in our faith, we will place all our faith in the guidance and wisdom of the Holy Spirit.